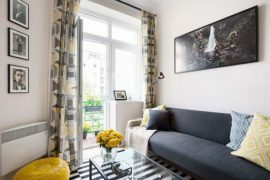 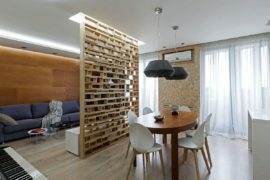 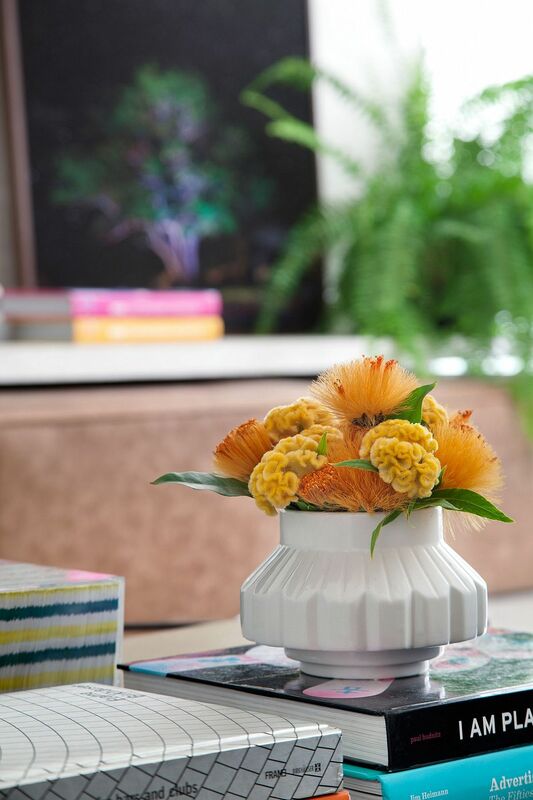 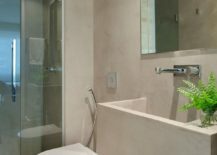 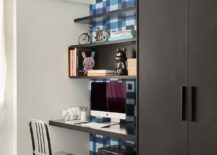 There are different ways that you can decorate a small apartment without turning it into a closed space that seems far too overwhelming. 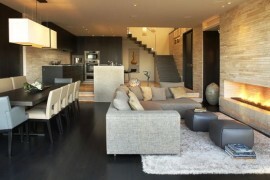 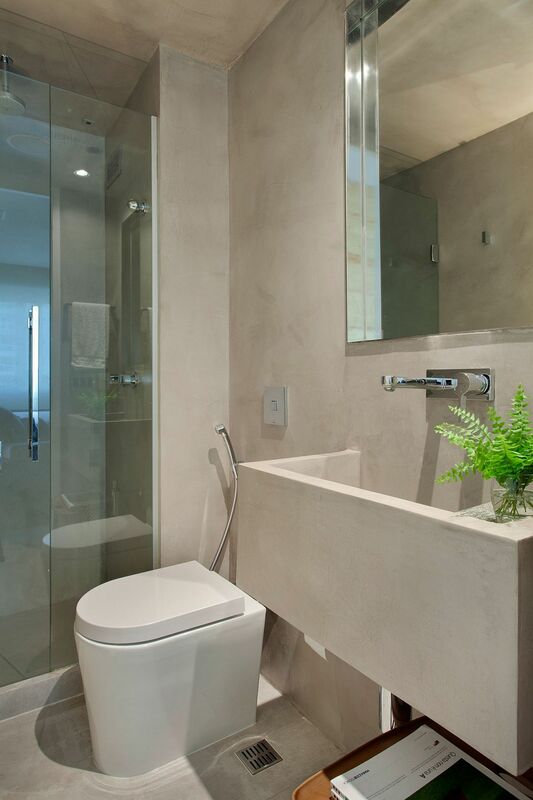 But the undoubted favorite among them all is the curated contemporary style that is anchored in neutral colors. 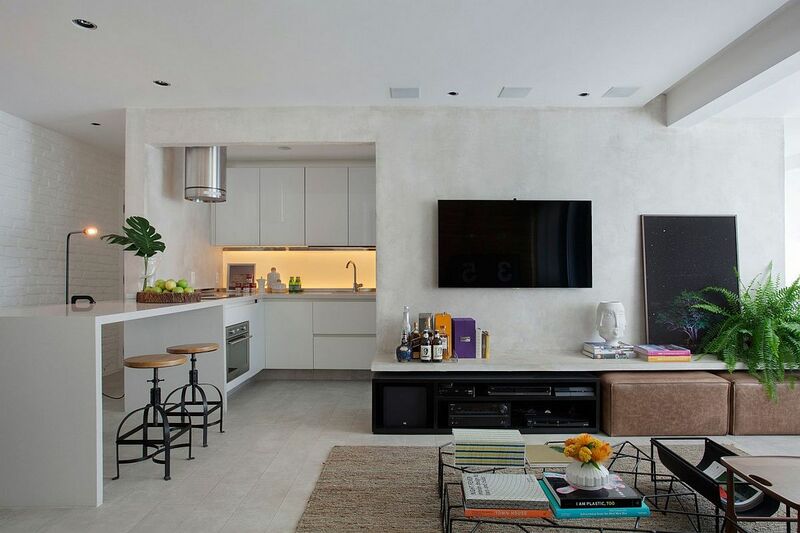 Borrowing from modern minimalism and yet finding that ideal balance between sophistication and inviting warmth, RF House by Studio ro+ca in Rio de Janeiro showcases a cheerful and stylish modern interior. 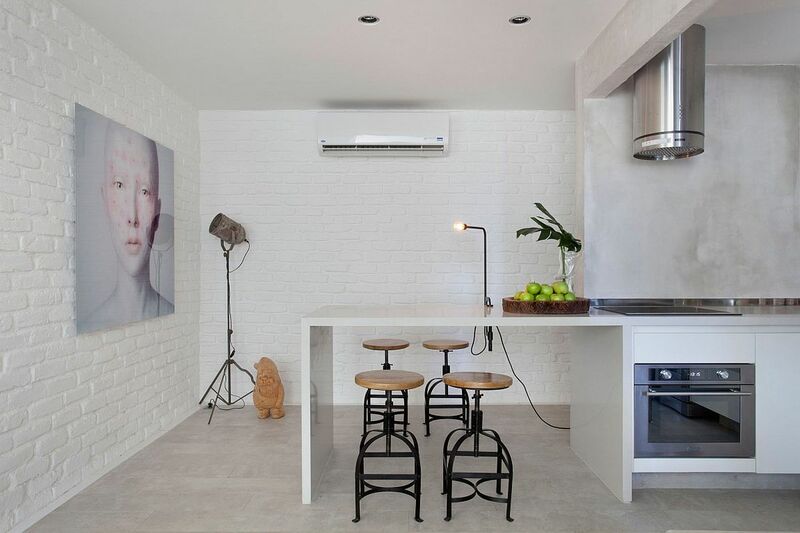 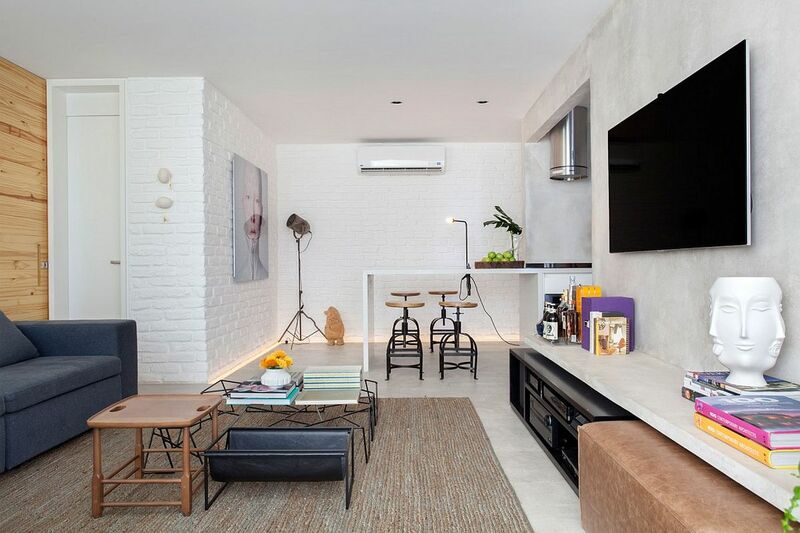 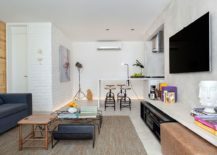 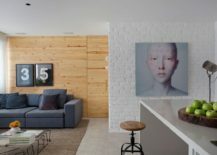 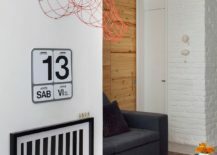 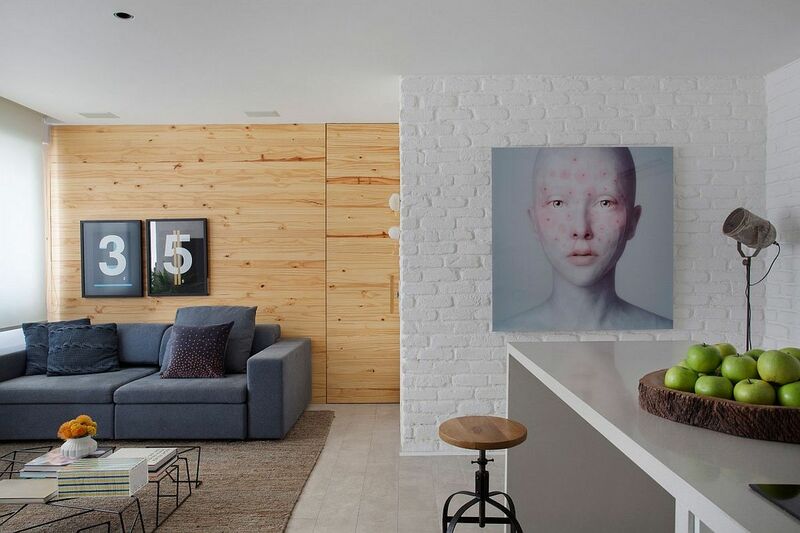 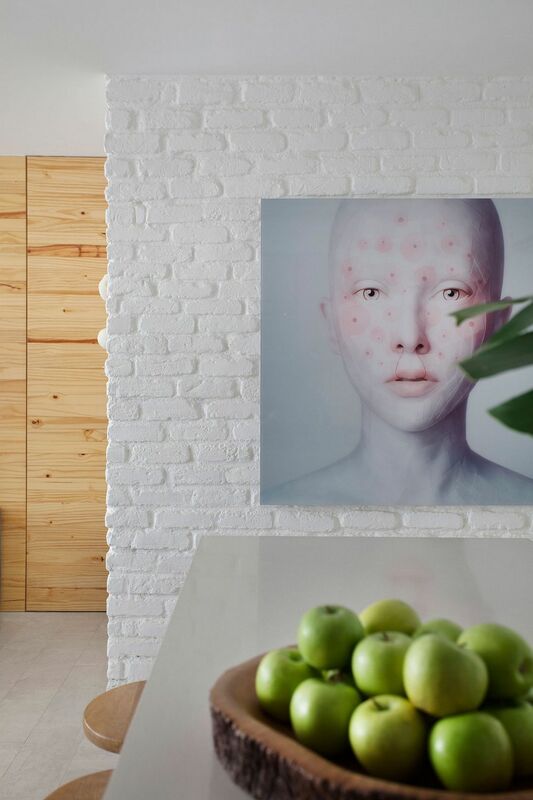 Despite the lack of bold colors, the living room of this modest apartment draws your attention with its wonderful use of contrasting textures, such as the whitewashed brick wall and the accent wooden wall. 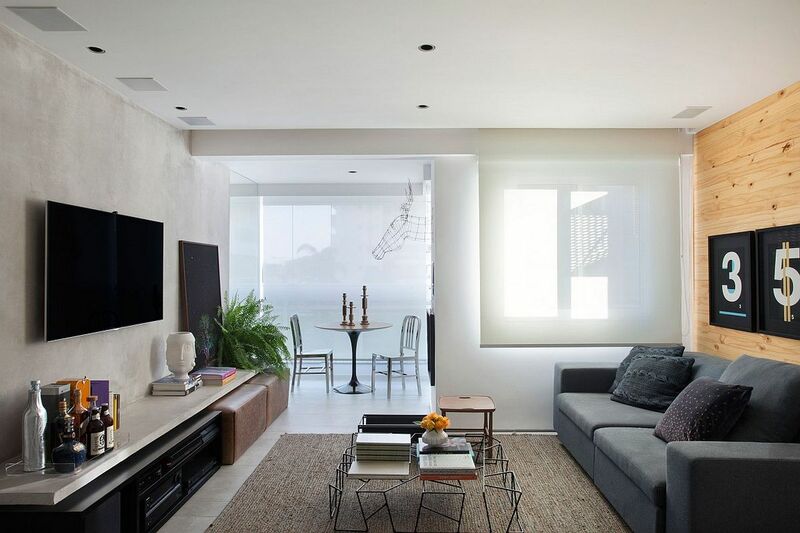 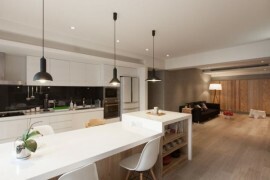 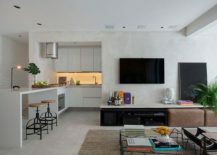 The living space of the apartment is open, and yet the kitchen and the dining space that flank it seem partially detached from the main sitting area. 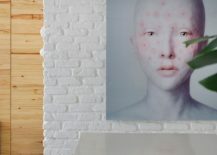 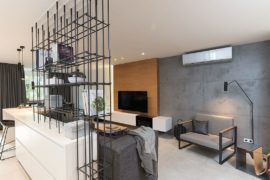 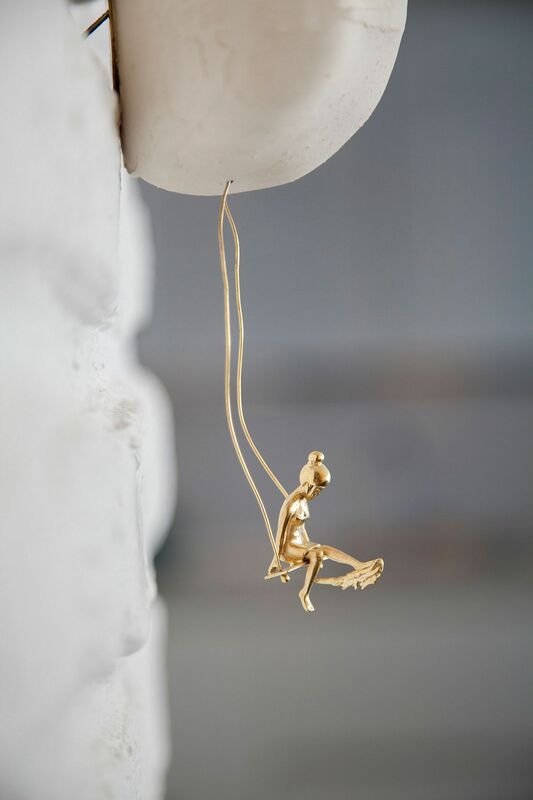 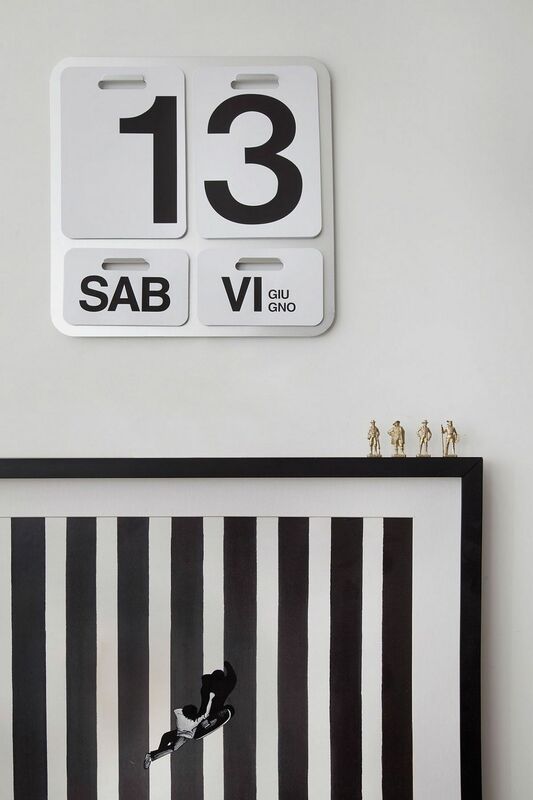 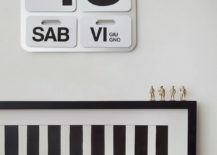 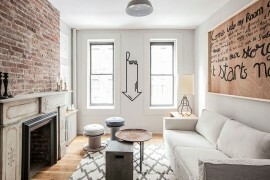 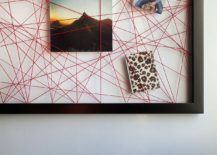 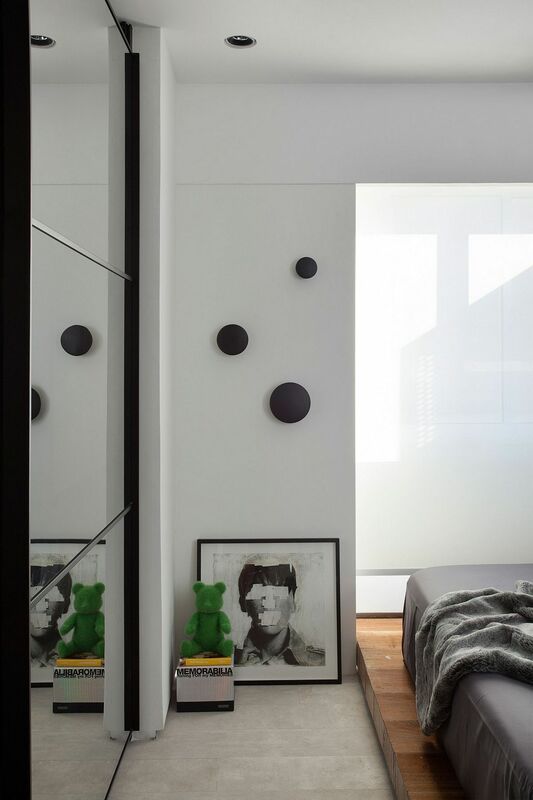 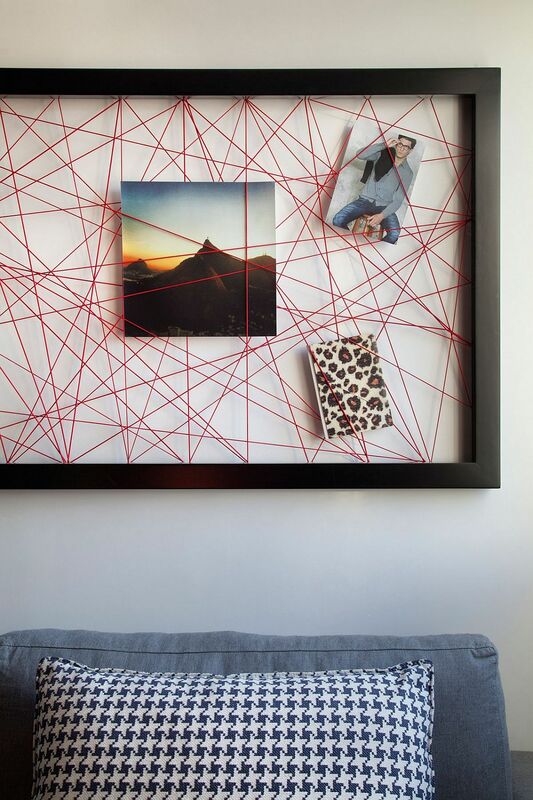 Geometric patterns and sculptural wall art ensure that there is no sense of boredom indoors, with a quirky accessory or two adding to the uniqueness of the home. 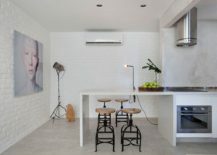 A smart, L-shaped kitchen utilizes the corner space, even as bar stools and a tripod floor lamp give it a chic industrial vibe. 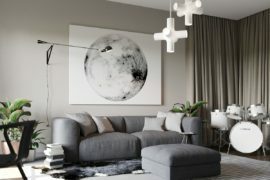 White is the color of choice here, with black and gray providing visual contrast. 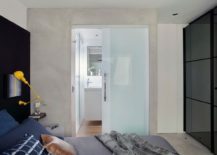 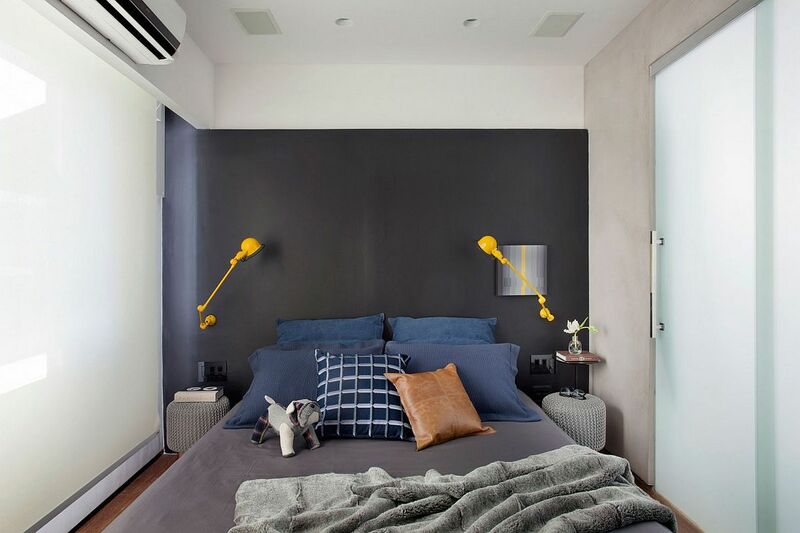 Step beyond the living space, and you have the small bedroom with a gray accent headboard wall and bright yellow sconce lighting, along with smart, space-savvy cabinets. 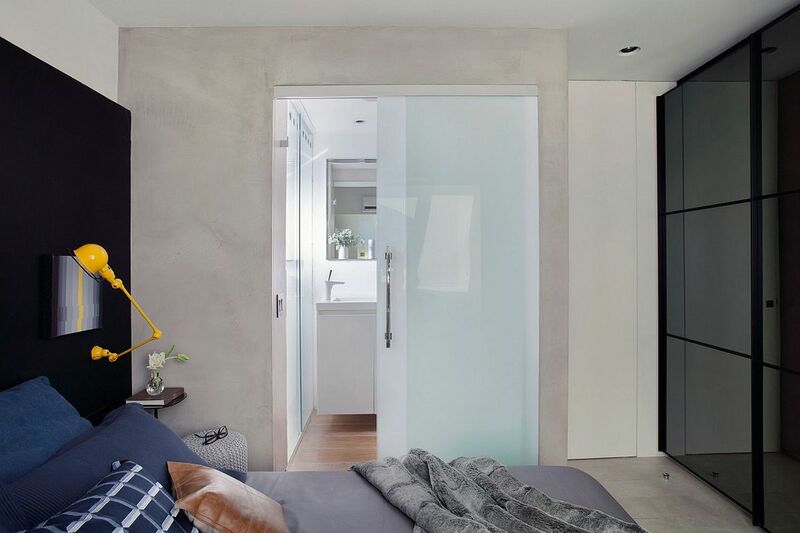 Despite its limited size, the bedroom seems soothing and spacious, thanks to the smart color scheme that keeps visual fragmentation to a minimum. 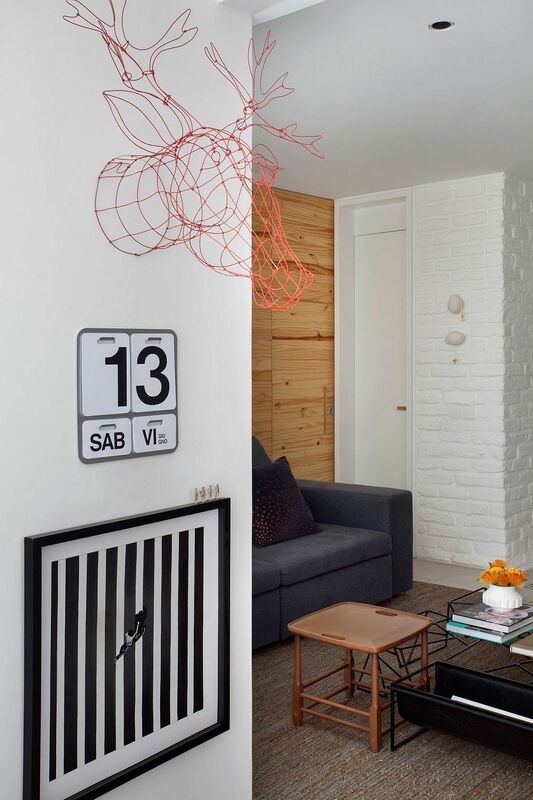 A delightful corner workspace and custom wall art complete a beautiful Brazilian home that makes the most of every inch on offer.